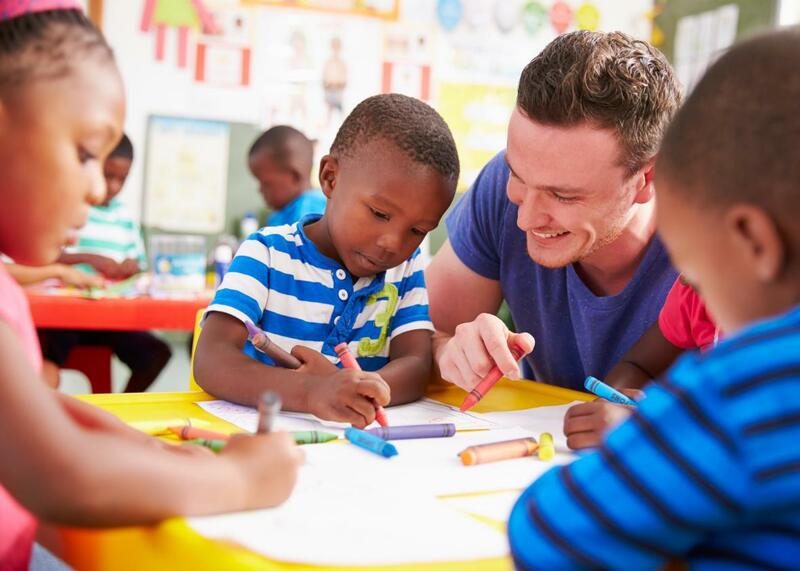 We think high-quality preschool teachers are important—as long as we don’t have to pay them. Preschool shouldn’t be controversial, but then again we live in 2016, when we can’t even agree to get guns out of the hands of terror suspects. On the early-education front, there’s no solid consensus on the type of preschool kids should attend, or even whether they should be in school at all at such a young age, or what if any impact preschool has on the achievement gap. But most researchers (and yeoman parents like me) do agree that teacher quality matters a lot in the early years. A recent study of studies found that preschool is only as effective as the people at the front of the classroom, and that makes sense: At a time when social-emotional learning is so crucial, the presence of well-trained, sensitive, loving teachers can make or break a preschool experience. And yet. In spite of the rising need for childcare in this country—approximately 58 percent of mothers of infants work full time—and its increasingly obscene cost, preschool teachers are paid very, very little. A new report from the Department of Education highlights the ludicrously low wages paid to preschool teachers, who made an average of $28,570 last year. Daycare worker salaries are even more pitiable, with the average worker making $9.77 an hour in 2015, or $20,320 a year, according to the Bureau of Labor Statistics. It’s no wonder daycare workers have joined fast-food employees and other hourly wage workers in the Fight for $15. Move up to kindergarten, and your salary nearly doubles: The average kindergarten salary last year was $51,640—no king’s ransom, to be sure, but certainly a living wage in most parts of the country (though now does seem like a good opportunity to revive the shocking statistic that the top 25 hedge-fund managers make more—by more than $3 billion—than all kindergarten teachers in the country combined). By contrast, in 13 states, including high cost-of-living ones like California, preschool teachers make less than half what kindergarten teachers make, and in six states preschool teachers salaries were below the poverty level for a family of four. So you love little kids and want to shape their malleable young minds from earliest childhood? Unless you also like living in credit-card debt, or sharing a two-bedroom apartment with four of your closest friends, then you’d best consider picking another favorite age group, or a different profession altogether. Or just settle here in D.C., one of the few places in the country that pays its preschool teachers fairly: The starting salary for public school teachers here, from 3-year-olds on up, is $51,359, nearly twice the national average—which is surely related, as I’ve written elsewhere, to the concentration of fantastic preschool teachers who work in the District.